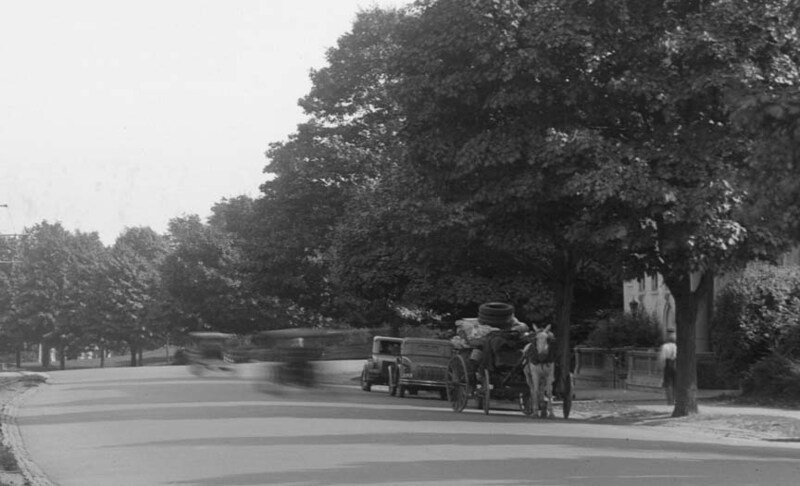 The overall conception for Commonwealth Avenue, which was built in stages between 1885 and 1895, was provided by the leading landscape architect of his day, Frederick Law Olmsted, then a resident of Brookline. 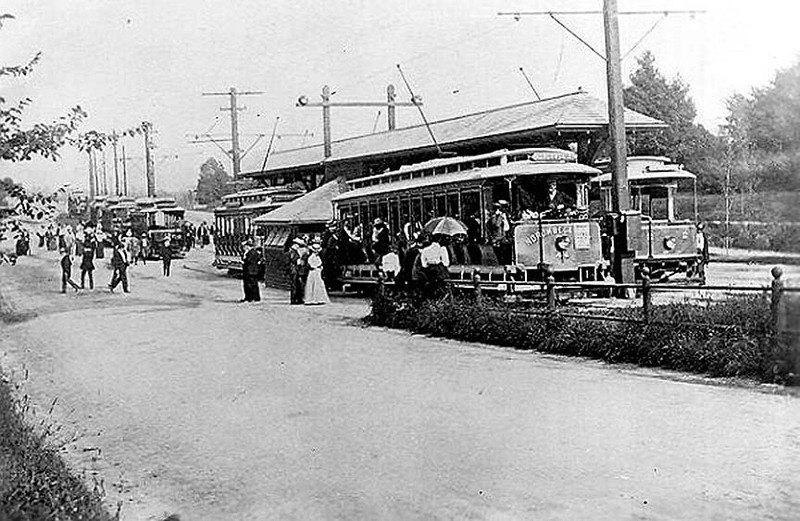 When Commonwealth Avenue was first put through in the 1885 to 1888 period (a more elaborate second stage of construction followed between 1890 and 1895), it was immediately hailed as the “the prime driveway of our city.” Called at first Massachusetts Avenue, Commonwealth Avenue acquired its present name on March 1, 1887 when the widening of old Brighton Avenue (the portion of the avenue between Packard’s Corner and Kenmore Square) linked the Brighton roadway with Commonwealth Avenue in Boston’s Back Bay. 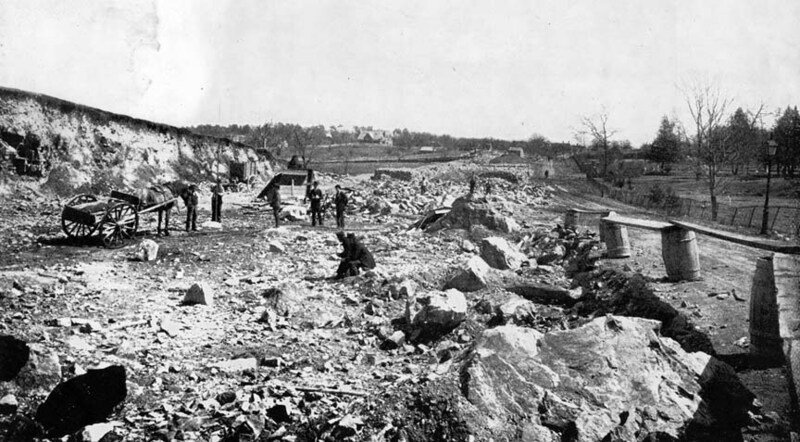 Commonwealth Avenue was built through the least populated section of Allston-Brighton (the poor quality of its soil there and the many ledge outcroppings had made farming impractical and thus retarded development). 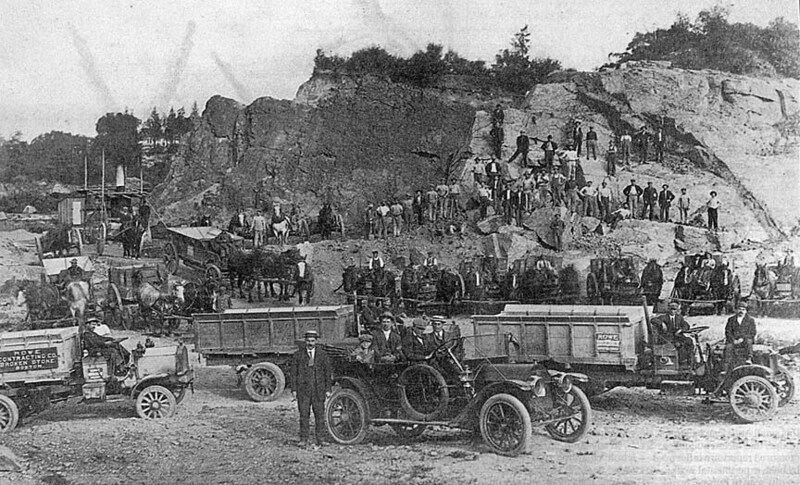 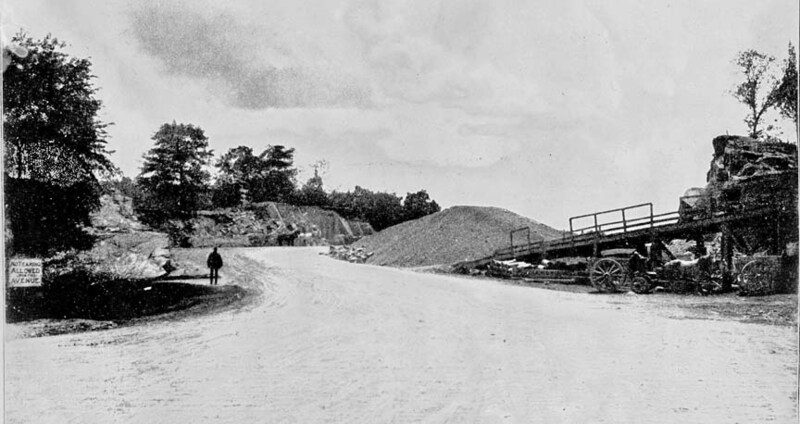 As a result no more than a half dozen buildings had to be removed to make way for the two-mile long avenue. 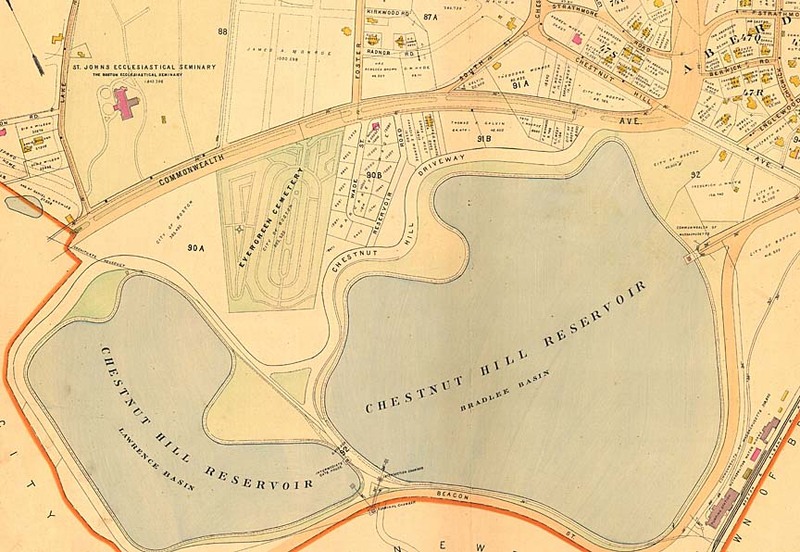 By the end of 1888 Commonwealth Avenue had been completed in its preliminary form to the Chestnut Hill Reservoir at a cost to the city of about half a million dollars. 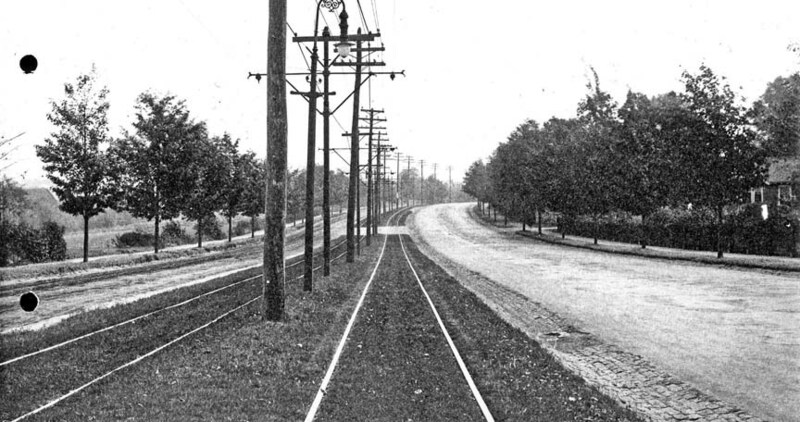 It then consisted of a two hundred foot wide strip over which a single driveway meandered with gravel paths on the side for pedestrians. 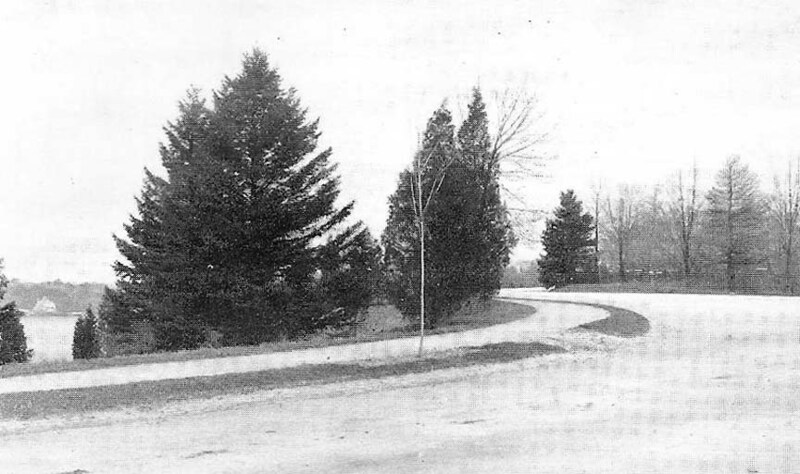 The macadamized central driveway was paved with pressed broken stone to a depth of about twelve inches, its surface held together with tar. 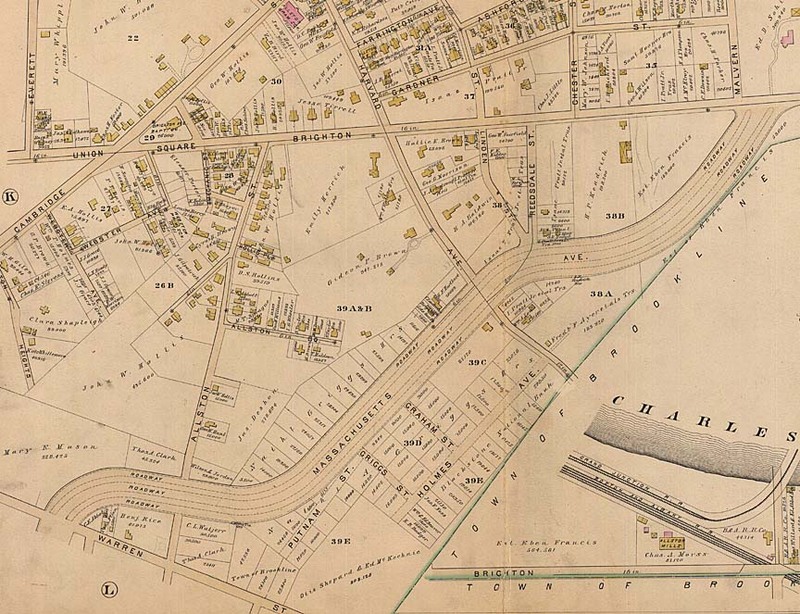 The high hopes of Commonwealth Avenue landowners were dashed again by a severe economic downturn, the Depression of 1893, which destroyed the real estate market. 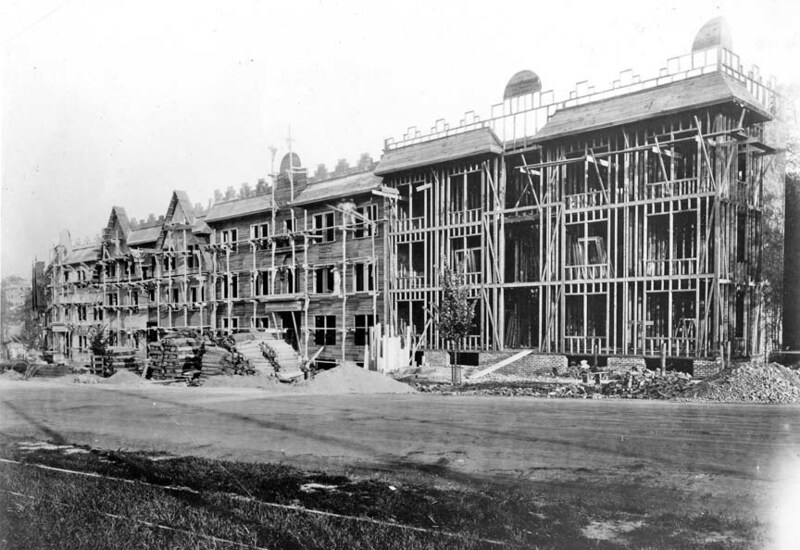 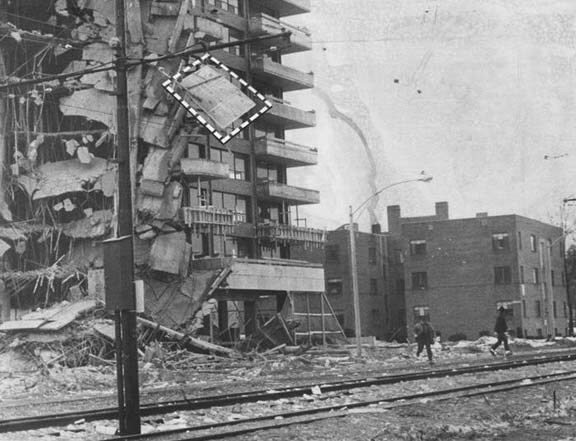 Six years after the improvements to the avenue had been made, a total of only four buildings stood on the avenue! 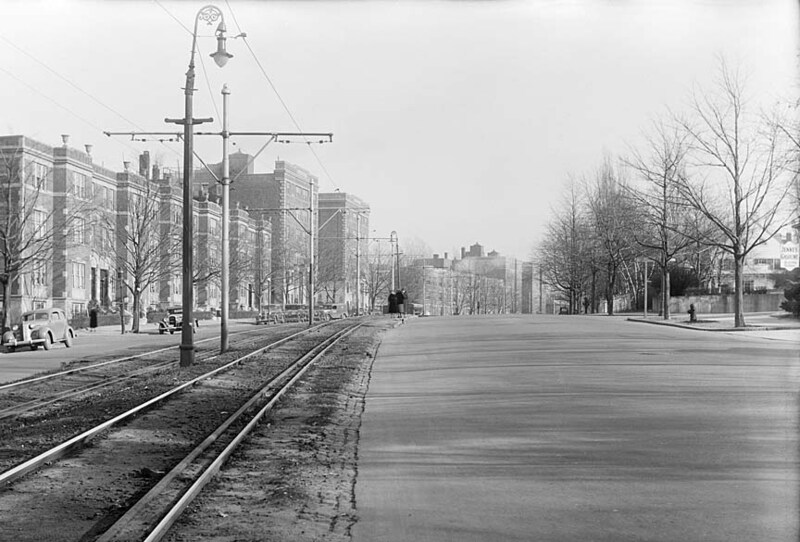 Despite improved economic conditions by the late 1890s, the Commonwealth Avenue still lagged developmentally. 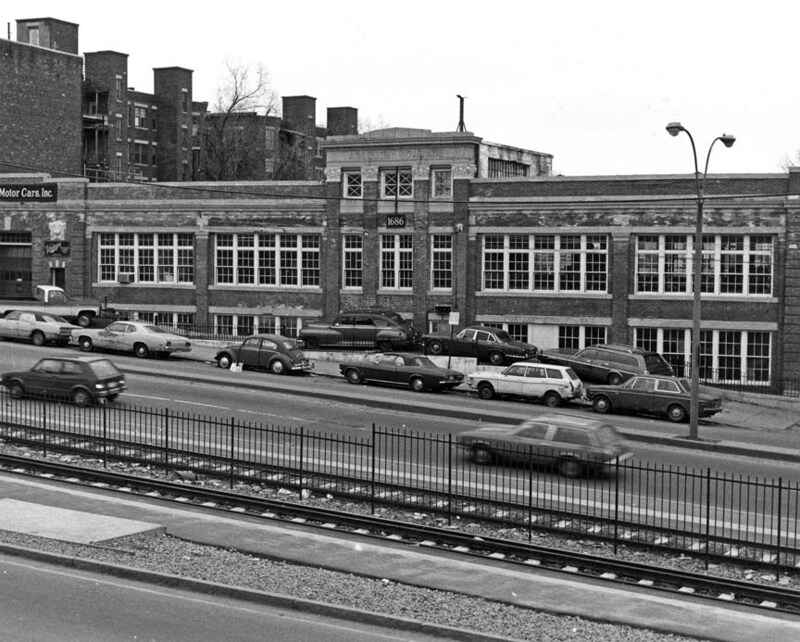 Beacon Street was the focus of development. 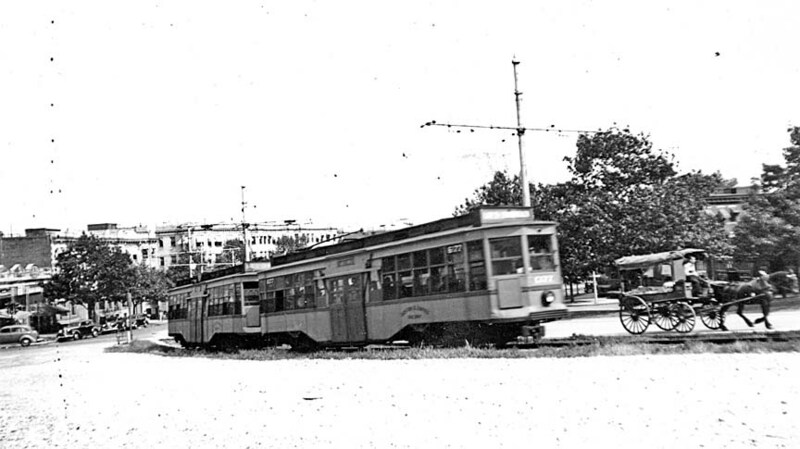 The existence there of electric streetcar service was enormous advantage. 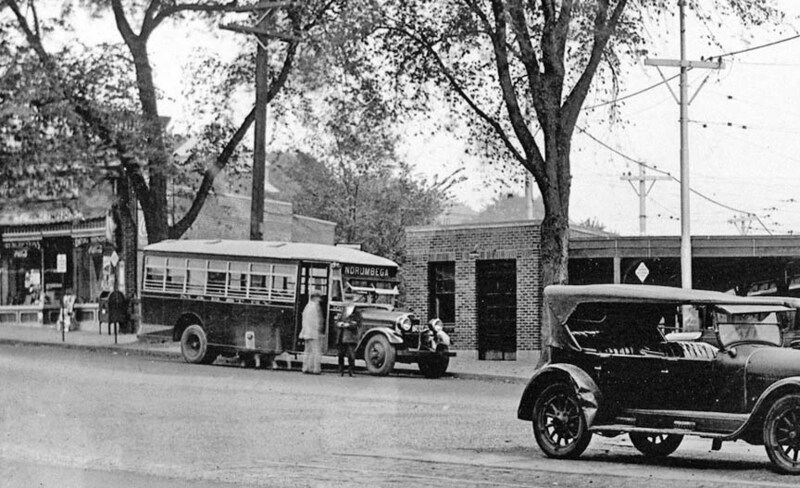 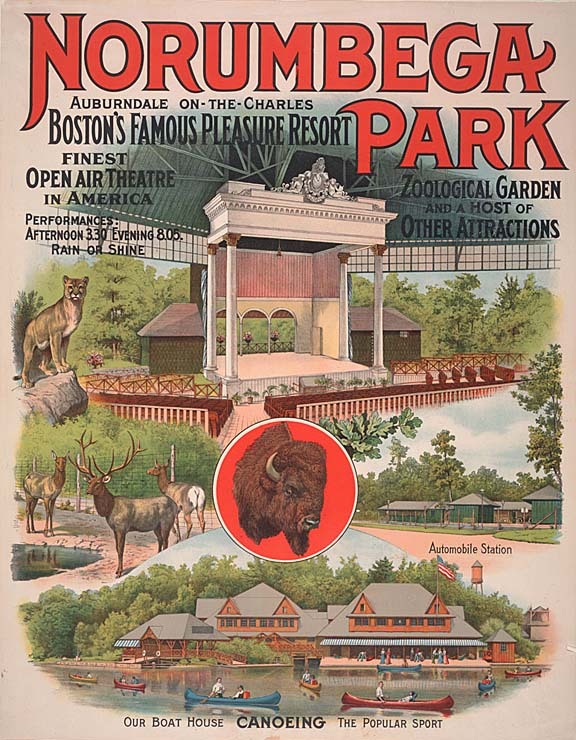 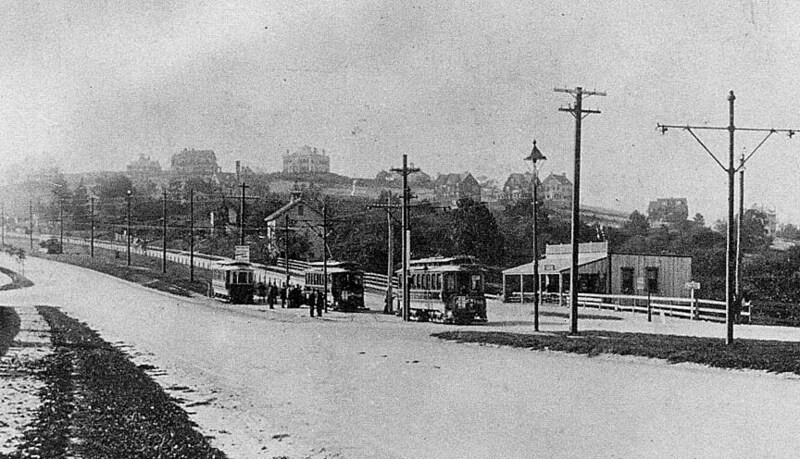 Until such service was instituted on Commonwealth Avenue, in 1909, little development occurred on the Allston-Brighton roadway. 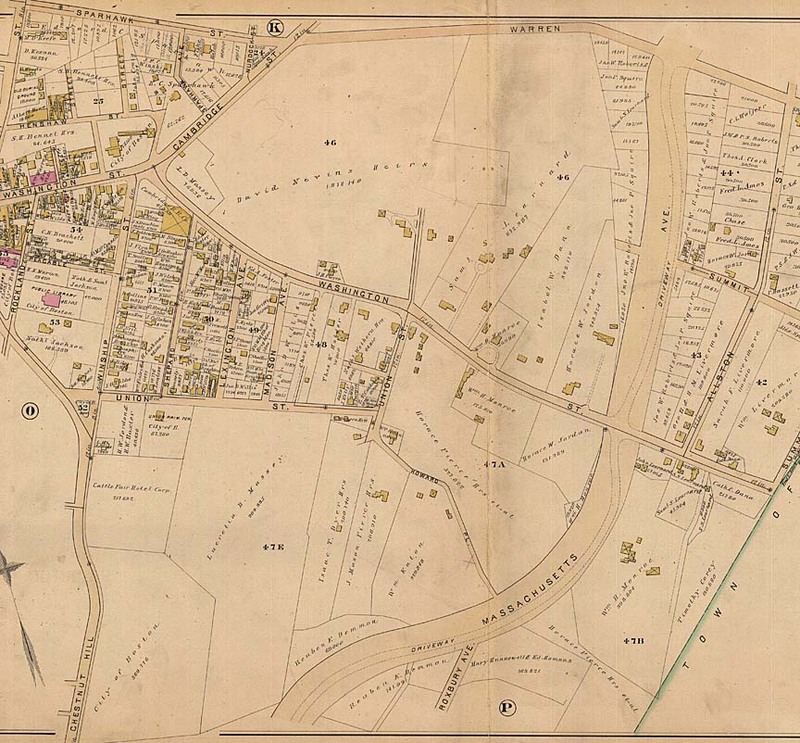 1875 Map (plate L) with Washington St on the left and Warren St in the center. 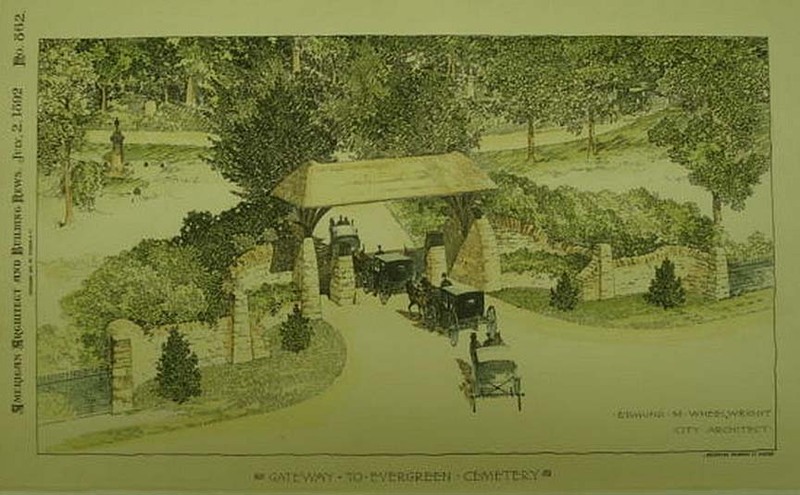 In between is Breck St. Comm Ave would follow the path of Breck St.
1892 image of the Evergreen Cemetery entrance. 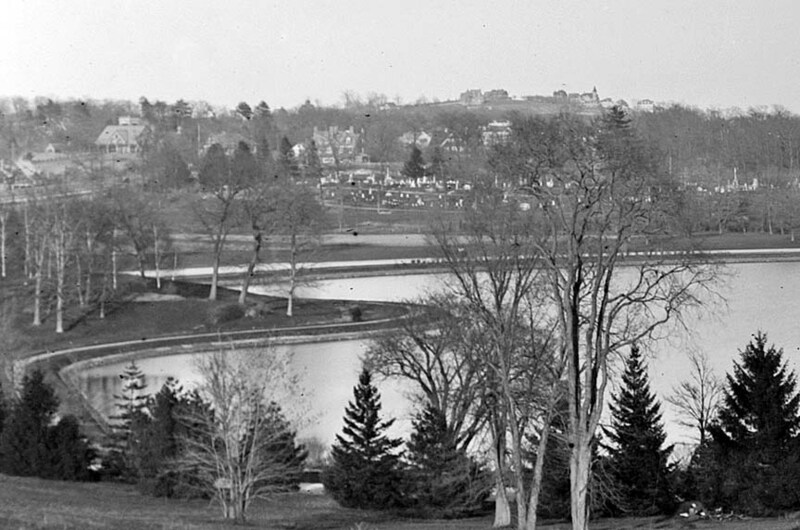 Adjacent to Chestnut Hill Reservoir and Boston College this 19.66-acre historic cemetery was consecrated in1850. 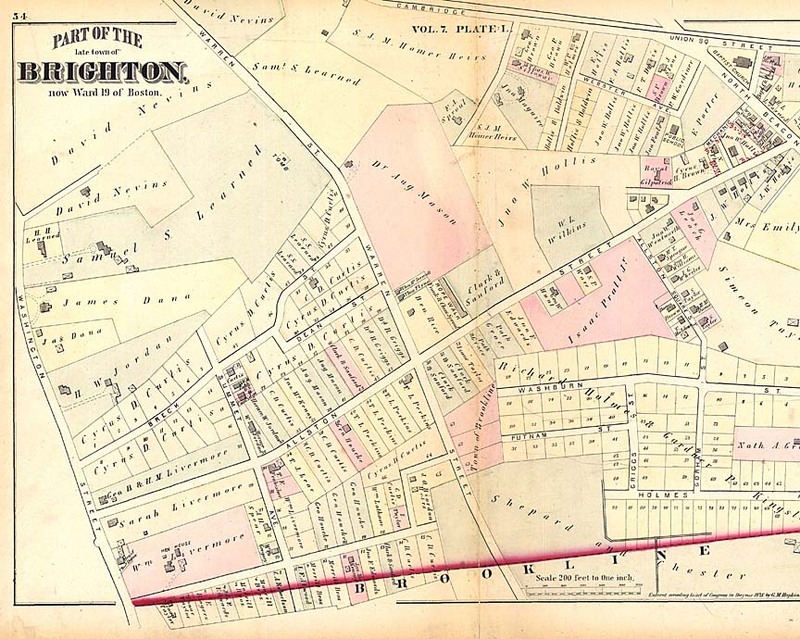 Evergreen Cemetery became Brighton's primary burial space after the 1764 Old Burial Ground on Market Street ran out of available space. 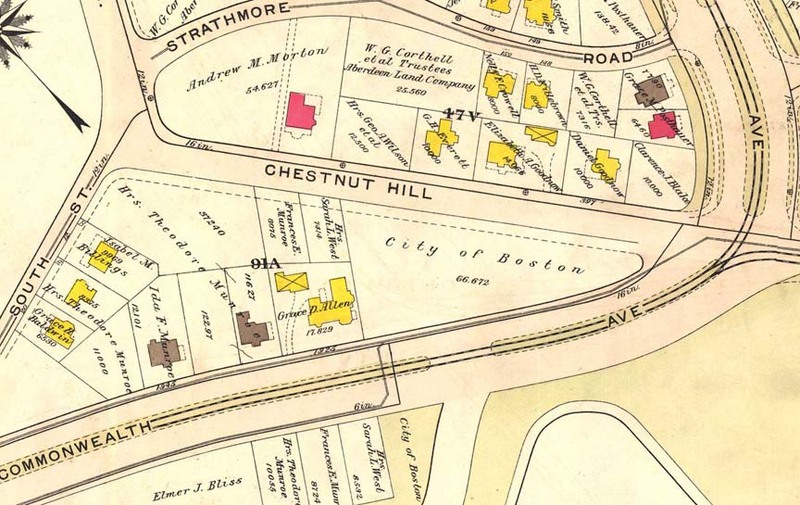 The Selectmen of Brighton purchased a portion of Aspinwall Woods, a beautiful wooded tract of slightly less than 14 acres on South Street in 1848 from the heirs of William Aspinwall. 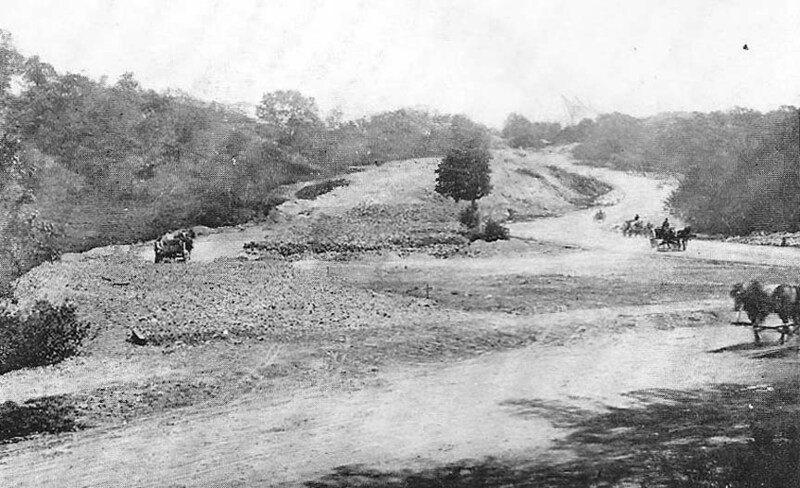 Its design struggled to integrate characteristics of a rural cemetery style such as winding roads and formal plantings with the engineering requirements of a naturally rocky and wooded landscape. 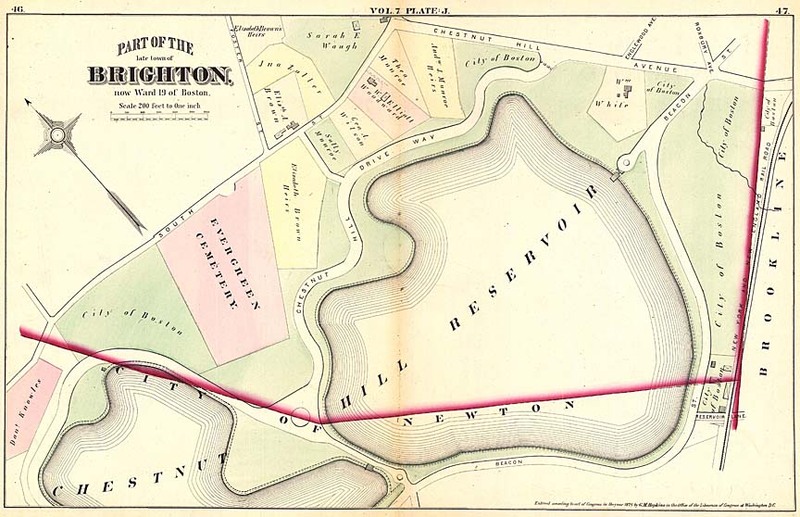 The Evergreen Cemetery was acquired by the City of Boston with the annexation of Brighton in 1873. 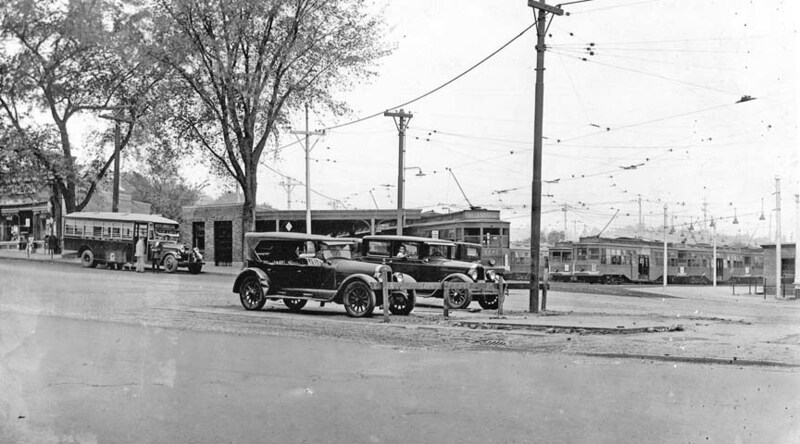 Evergreen serves as the final resting place for prominent Brighton families and veterans of various wars. 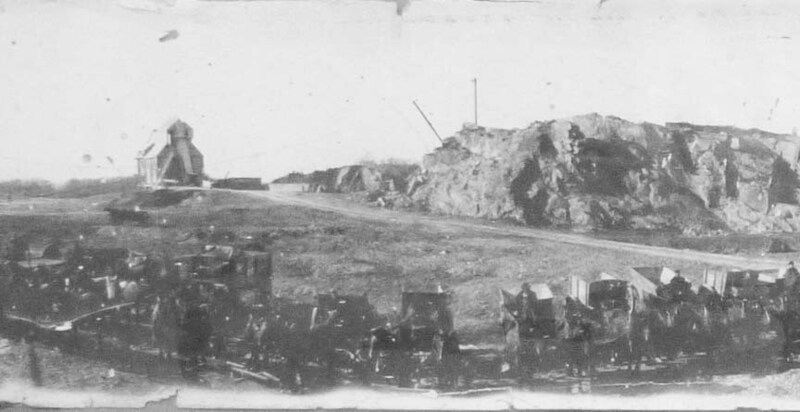 Taken from where the BC campus is today in the early 1900s. 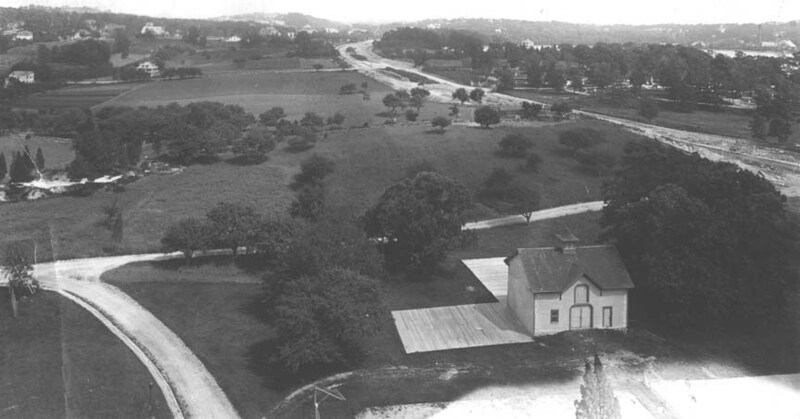 Comm Ave to the left with the Evergreen Cemetery in the center. 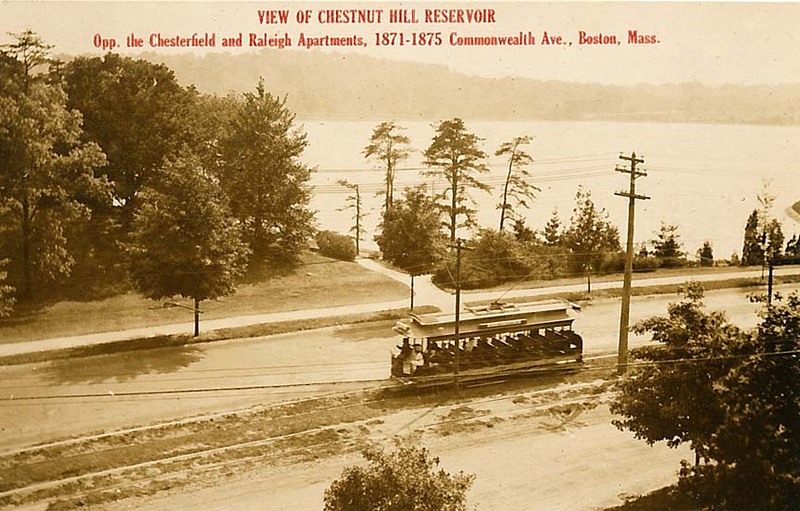 The houses from the center to the left are on Chestnut Hill Ave. 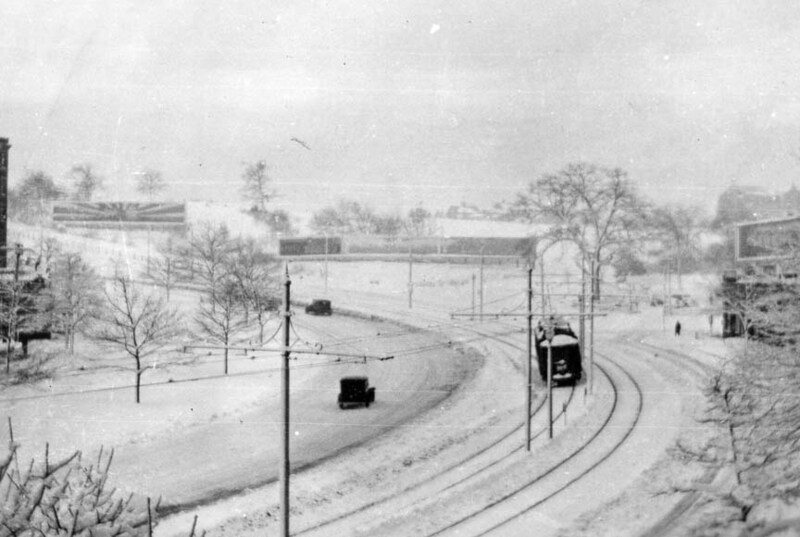 The hill near center top is Summit Ave in Brookline. 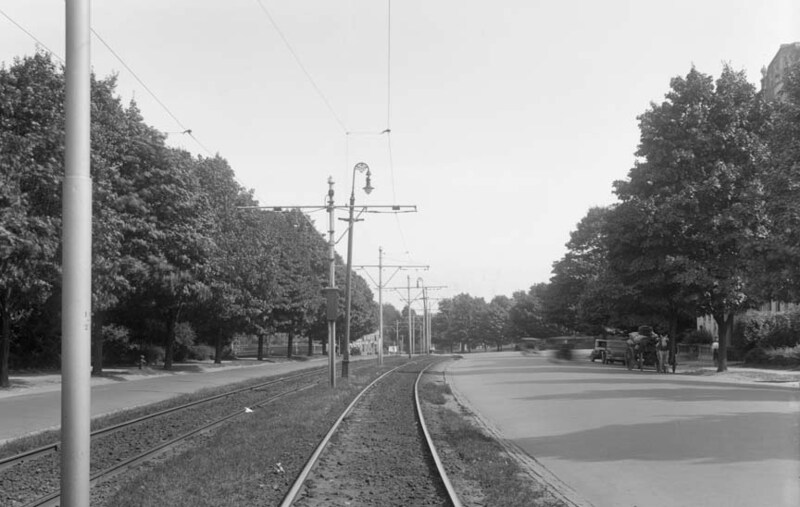 2018 Commonwealth Ave at Wade St. 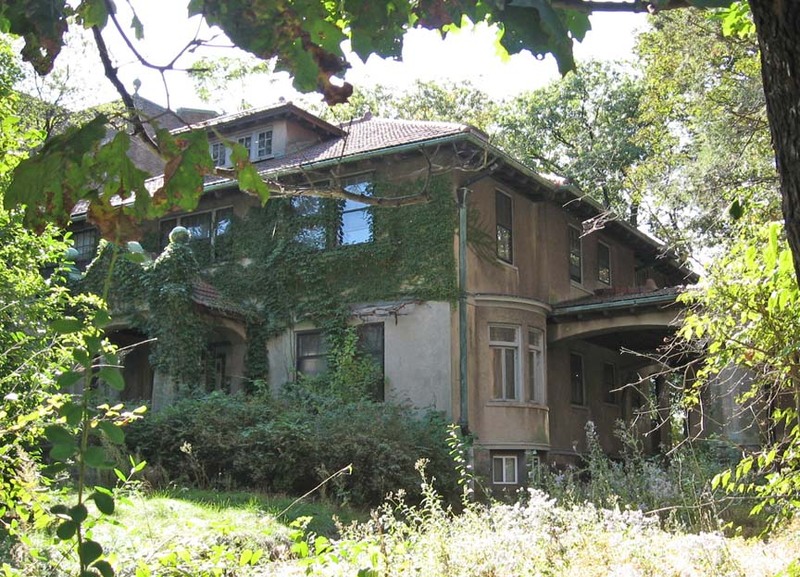 This 1897 Colonial Revival style mansion, originally called Hunningham Hall, is conspicuously situated on Commonwealth Avenue and is one of last vestiges of the free-standing residences that once lined the upper end of the avenue. 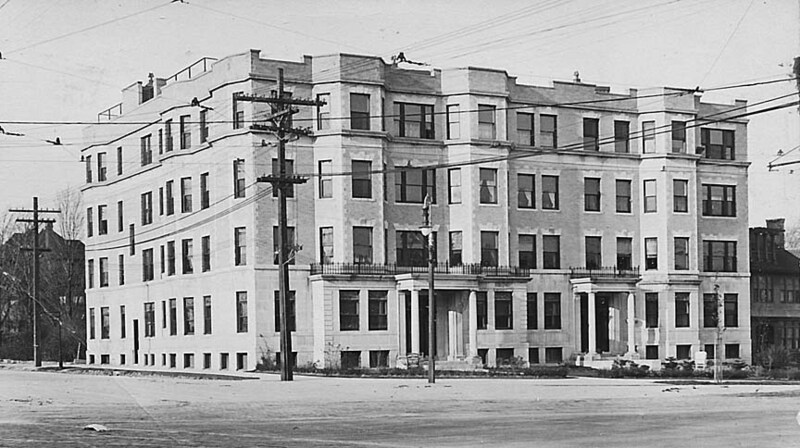 At some point after 1925, apartments were built behind the mansion, and Hunningham Hall was itself subdivided into apartments. 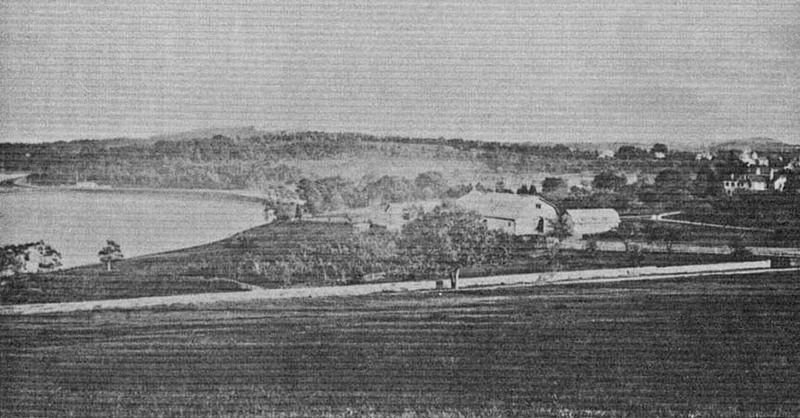 The land on which Hunningham Hall sits originally formed part of the Brown Estate. 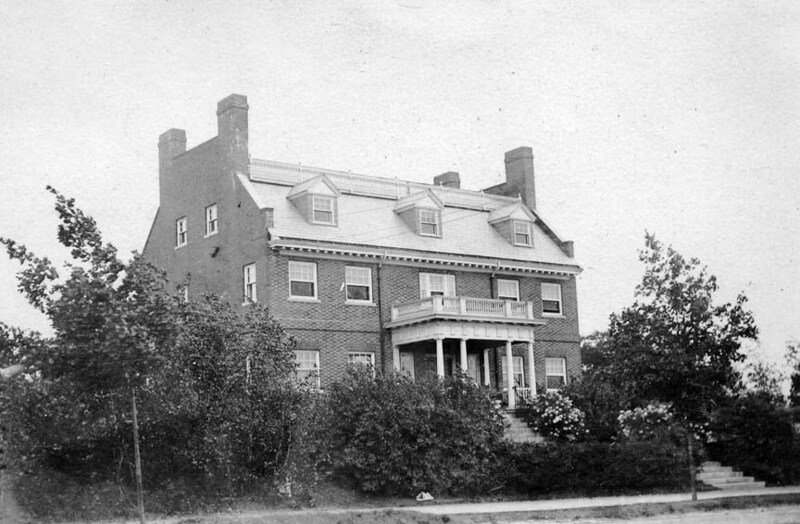 The Brown family resided in a farmhouse at the northeast corner of Commonwealth Avenue and Foster Street. 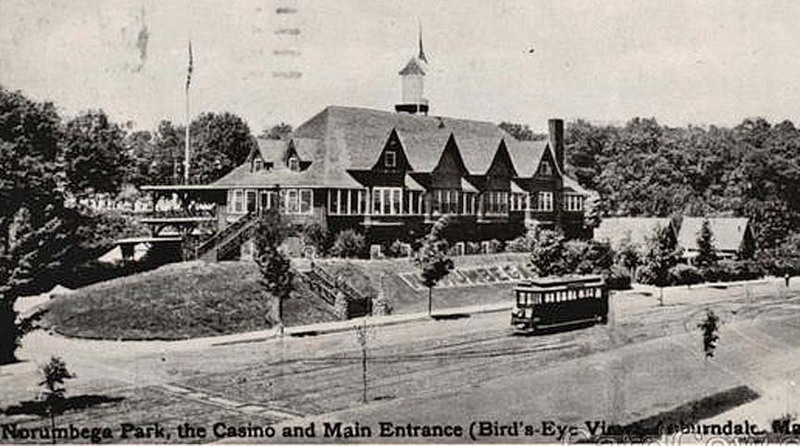 By 1890, the parcel on which Hunningham Hall would be built had passed into the hands of developer Edward P. Noyes, who subsequently sold it to Margaret Wade, who laid out Wade Street. 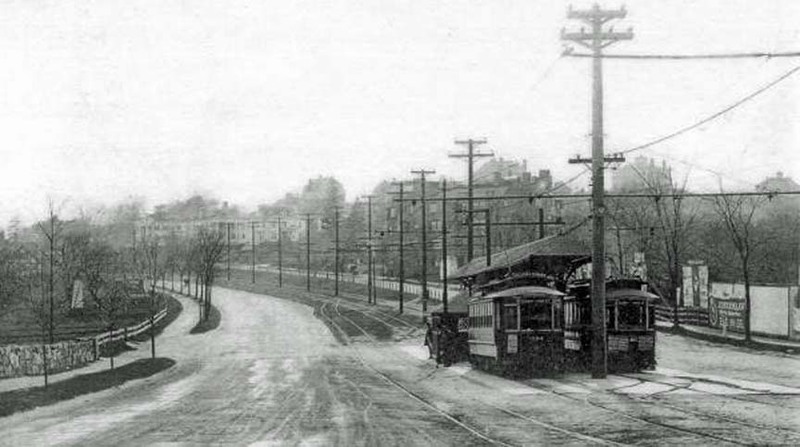 Comm Ave near Wallingford Rd looking east towards Washington St 1898 (courtesy Tammy Tobin). 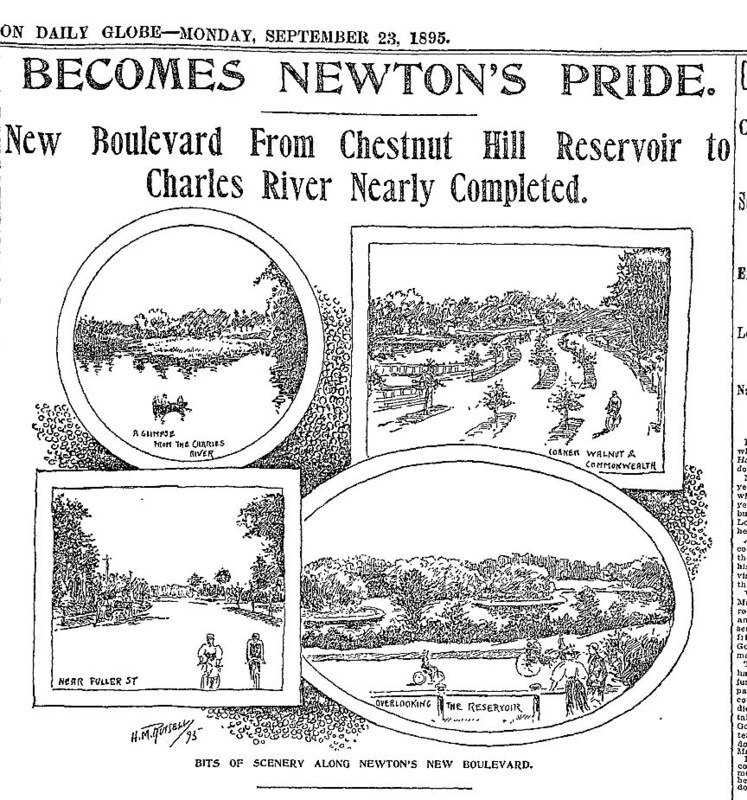 Note how rural Brighton was before Comm Ave was built. 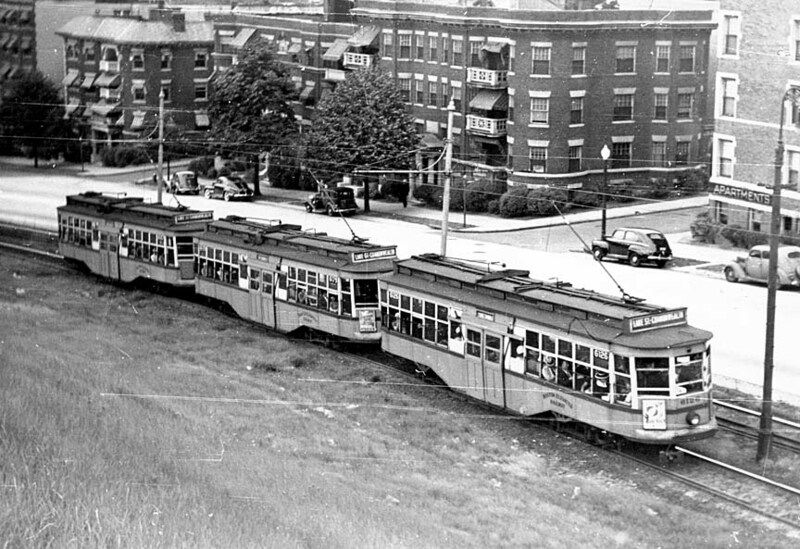 1935 Photo with Brighton High on the bottom left, Comm Ave running left to right and Washington St on the right. 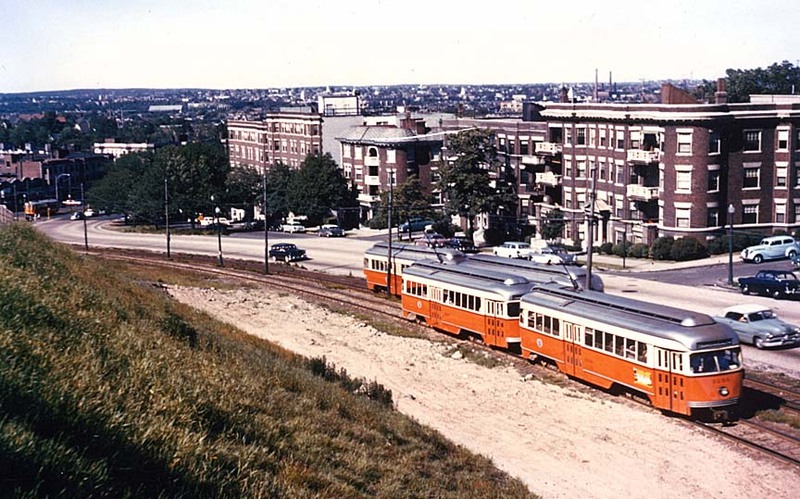 Note how open and rural this land was before Fidelis Way was built in 1951. 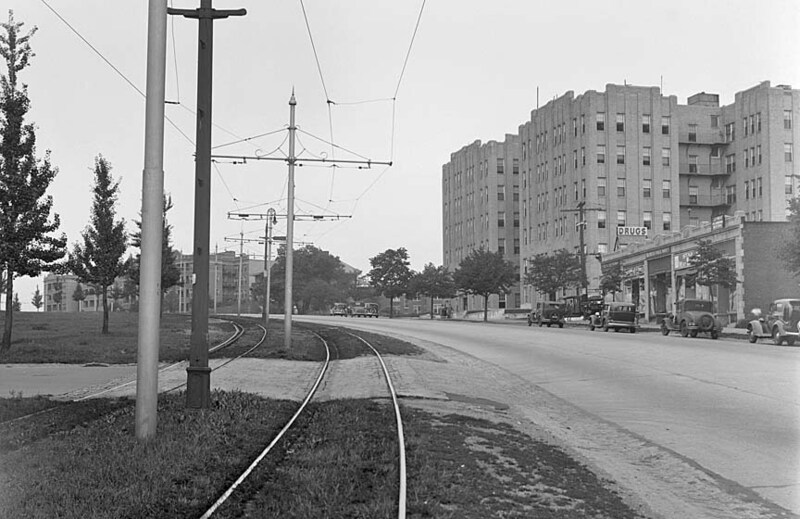 At CommAve and Washington St looking east towards Warren St 1940s. 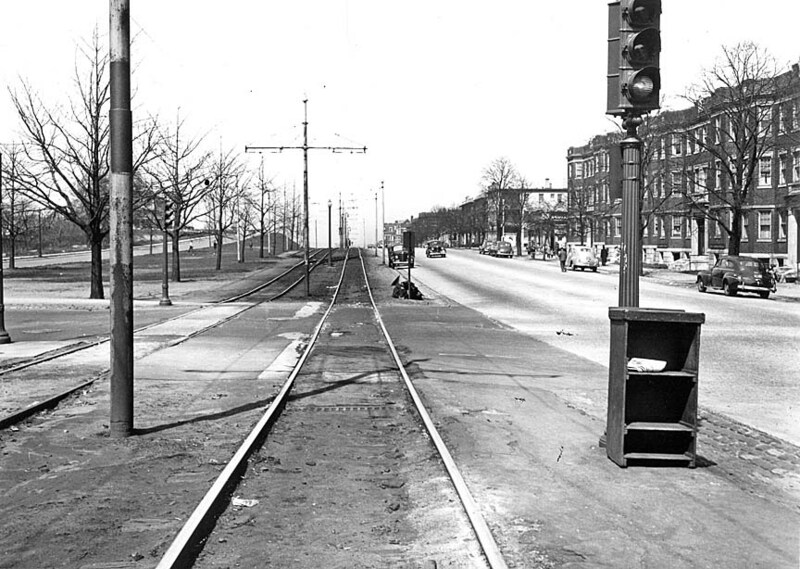 1958 West of Warren St. 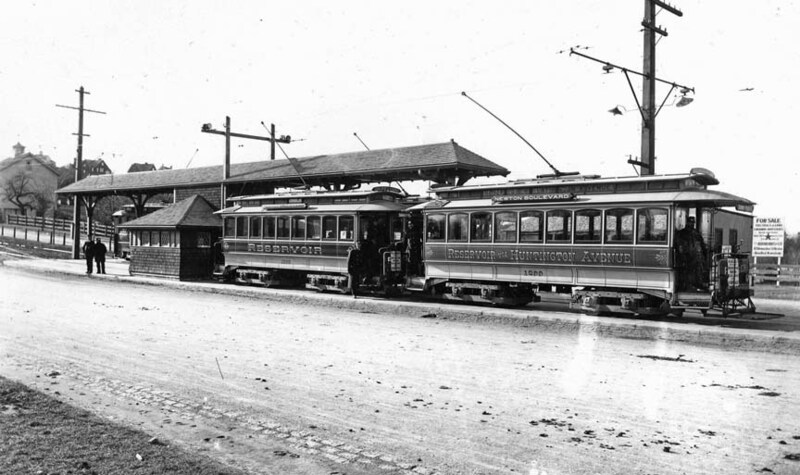 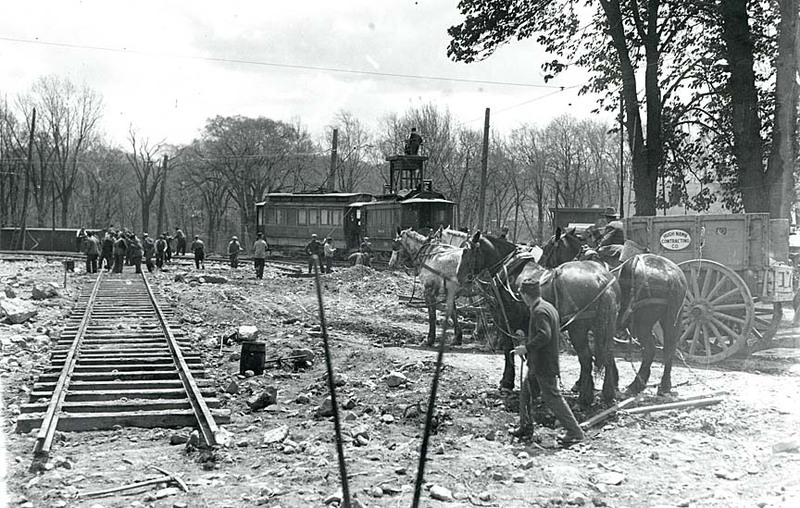 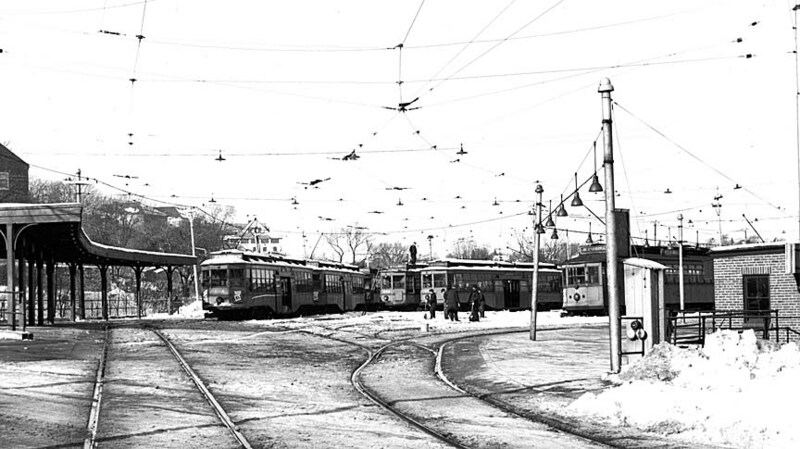 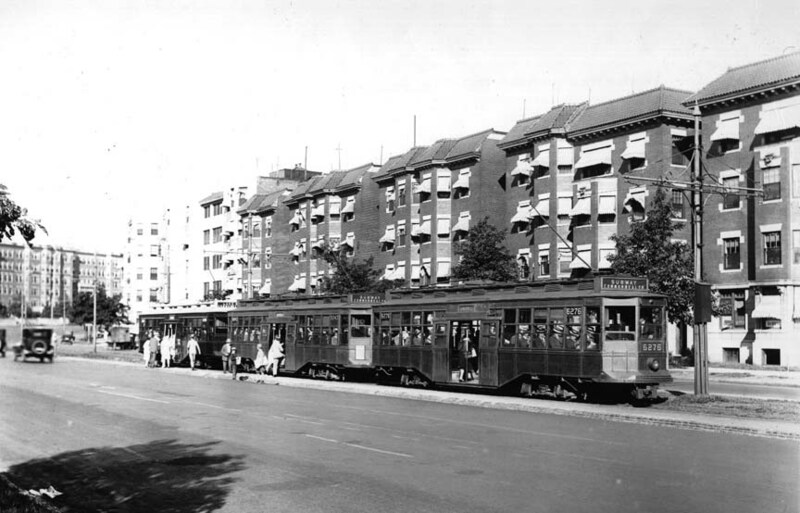 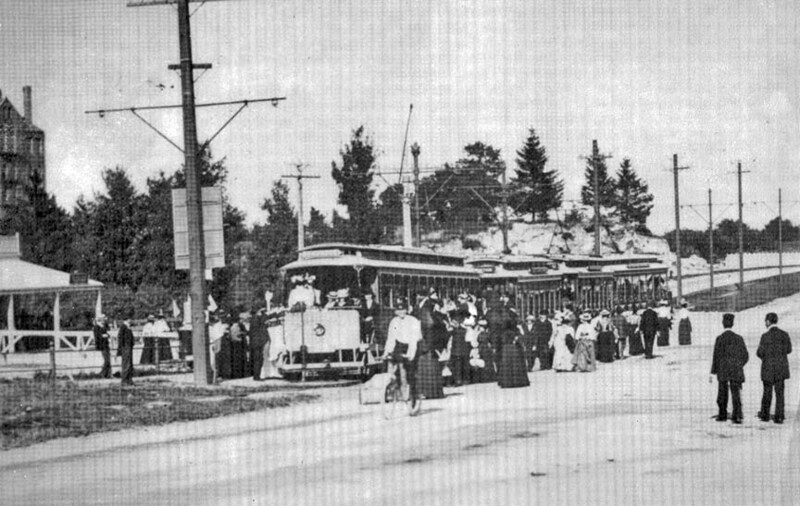 Note that the current west bound road that would be to the left of the trolleys in the photo was not yet built.